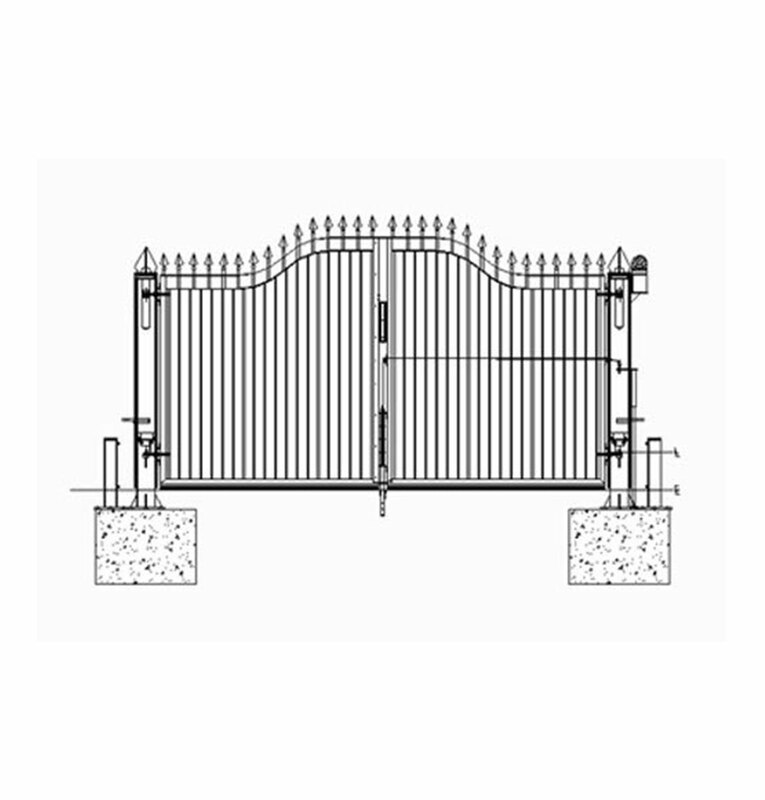 The rising gate was marketed at house owners with driveways backing straight onto a road. A pre-installed gate was modified to get the concept to work as intended. Two hydraulic rams installed within the gate posts lift the gate leaves and another two hydraulic rams open and close the gate leaves in a specified sequence. By adjusting existing components and manufacturing additional attachments – including a sensor system to control movements – the gate was able to function as intended.